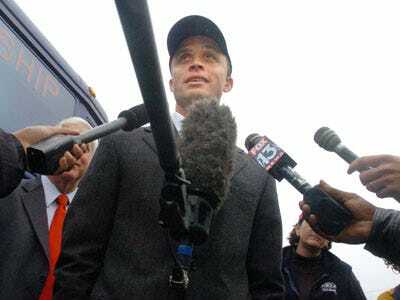 After a really disastrous month-long exploratory period, Harold Ford Jr. has decided not to run for Senate. In just a few short weeks, the former Tennessee Congressman was slammed for his carpetbagging, the size of his Merrill bonus (which remains unknown, but you have to figure it was big), his out-of-it upper-crust lifestyle, his flip-flopping on abortion, his vanity, and for never having paid taxes as a New Yorker. But that’s not why he’s not running. But as I traveled around New York, I began to understand why the party bosses felt the need to use such heavy-handed tactics: They’re nervous. New Yorkers are clamoring for change. Our political system — so bogged down in partisan fighting — is sapping the morale of New Yorkers and preventing government at every level from fulfilling its duty. The cruel twist, of course, is that the party bosses who tried to intimidate me so that I wouldn’t even think about running against Senator Kirsten Gillibrand, who had been appointed to the seat by Gov. David A. Paterson, are the same people responsible for putting Democratic control of the Senate at risk.